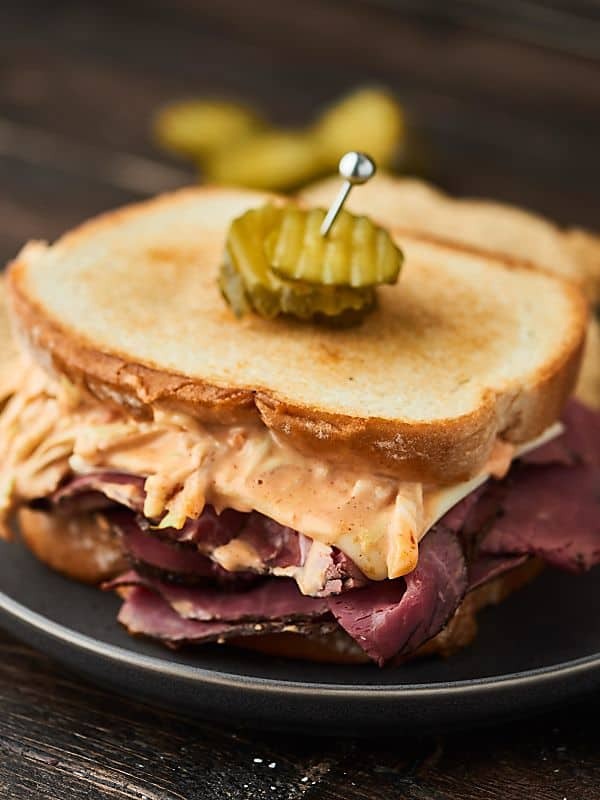 A twist on a classic, this pastrami sandwich is outta this world good! Artisan-style bread loaded with thinly sliced pastrami, swiss cheese, and the BEST coleslaw made with a tangy homemade russian dressing. Can be served hot or cold! Thanks to our friends at Sara Lee® Bread for sponsoring today’s post! 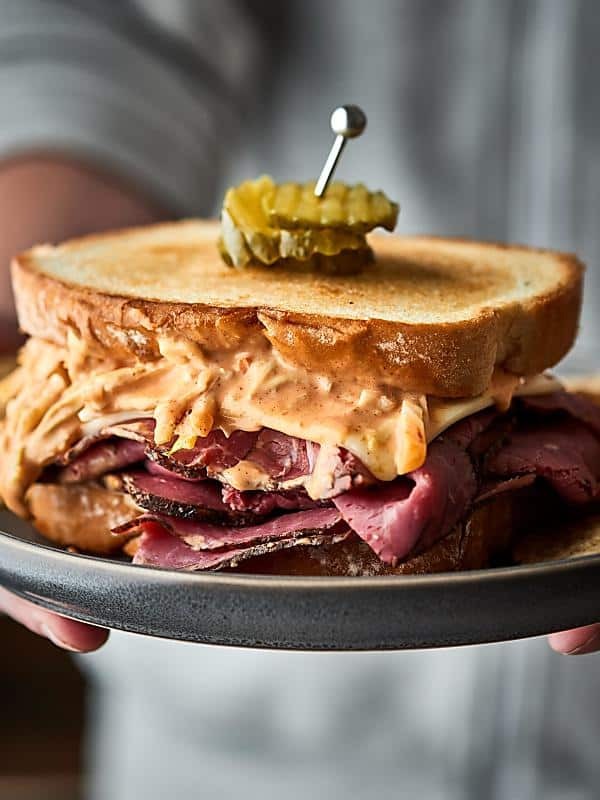 Ever since we had the best sandwich known to man during our stay in New Orleans, I have been craving a pastrami sandwich like a crazy person. While going to a deli for a really good sandwich is nice and all, I decided to take matters into my own hands and make myself one instead. 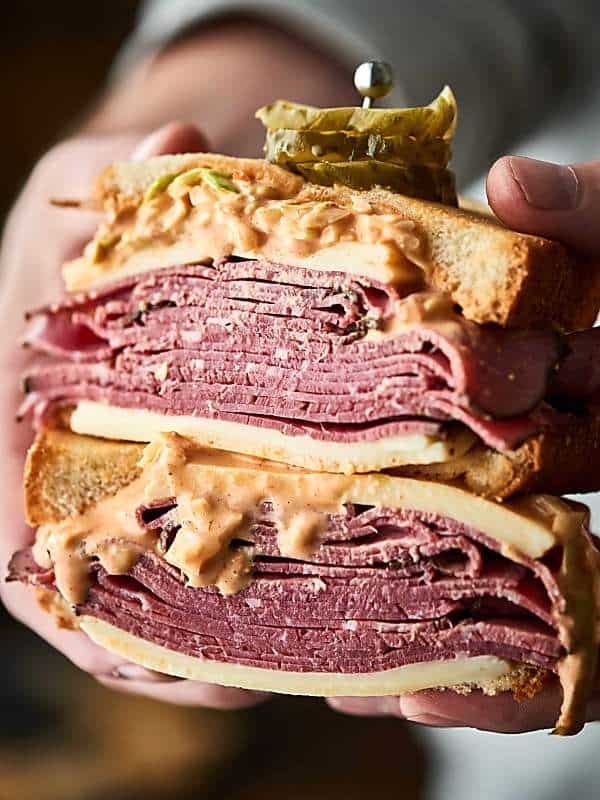 this pastrami sandwich . . .
And dare I say even more delicious?! You can make it EXACTLY how you want it (gimme all the russian dressing please). And hellloooo if you’re still hungry after that first sandwich, go ahead and make yourself another! Bring oooooon the homemade sandwiches! The bread. You can’t have a great sandwich without really great bread, right? The meat and cheese. Do yourself a favor and splurge for the good stuff. The slaw. Today, we’re making a homemade russian dressing that’s super easy to whip up and is what really makes this sandwich over the top delish. So. Let’s start with the bread. 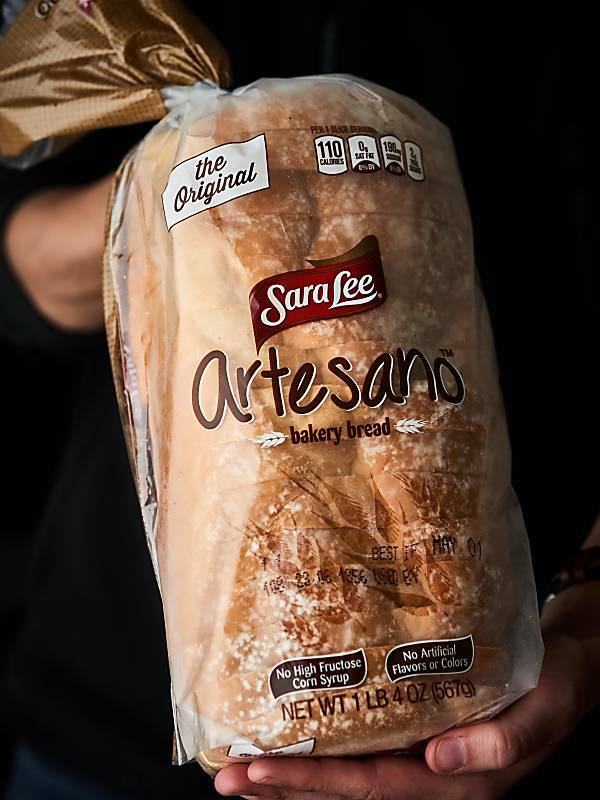 Today we’re using Sara Lee® Artesano™ Bread – the ORIGINAL artisan-style sliced bread. This bread is absolutely delicious AND it’s free from high fructose corn syrup, artificial flavors, and artificial colors! Now if that’s not a win-win I don’t know what is! It’s the perfect vessel for today’s pastrami sandwich. Next up, the meat and cheese. My suggestion? Go to your grocery deli counter and get their best thinly sliced pastrami and swiss cheese. 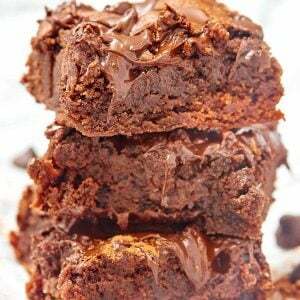 Easy peasy and so tasty! Lastly, the slaw. Ooooooo yummy this is good. The slaw is simply made with pre-packaged coleslaw (shredded cabbage and carrots) and a homemade russian dressing: mayo, ketchup-style chili sauce, horseradish, hot sauce, Worcestershire, onion powder, smoked paprika, and salt. Toss the two together and you’ve just made yourself the best slaw. Ever. Now all that’s left to do is . . .
Take a piece of the Sara Lee Artesano Bread and spread on a little russian dressing. Pile on the pastrami and swiss cheese, top with the homemade slaw and another piece of bread. Now. You have two options. Eat this cold or heat it up. Both are equally delicious, it just depends on your mood! 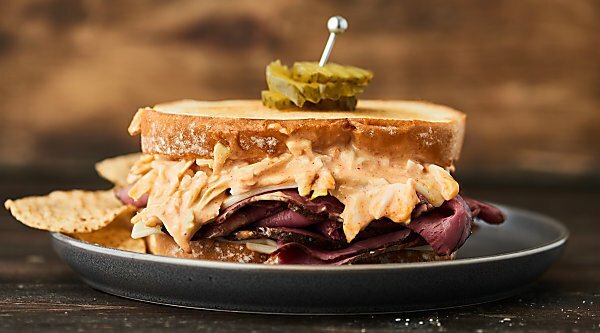 Tender bread, flavorful pastrami, swiss cheese, and a tangy crunchy slaw. Um. GIMME. This is a big sandwich, which Trevor and I completely devoured together. It’s just too good not to! 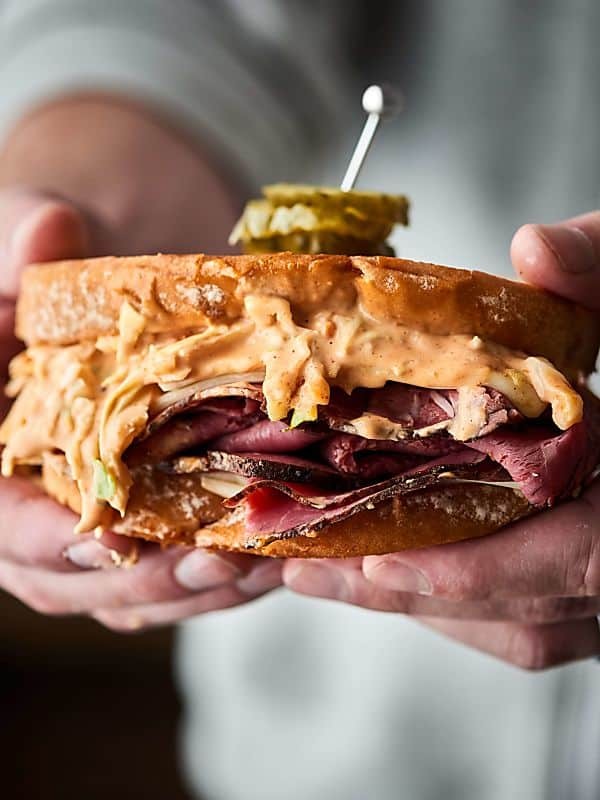 A super hearty, completely satisfying meal, I seriously can’t get enough of this pastrami sandwich. Do you want more sandwich recipes? Show Me the Yummy! Whisk together the russian dressing ingredients. Place in the fridge until ready to use. Taste and season with salt, to taste. Toss coleslaw together with russian dressing. I like 3 tablespoons of dressing, but start with 1 and go from there. Spread a little russian dressing on one side of both pieces of bread. Top one piece of bread with pastrami and cheese. Top with slaw and the other piece of bread. Eat cold or warm up in the oven or a skillet. It’s all about the bread for me and a good sandwich!! Looks so good! That slaw puts this over the top! I want to grab that sandwich right off that plate!! Drooling!